After almost 40 years of clinical use, stentless valves are unequivocally considered the ideal bioprostheses, similar to native valves, by a group of enthusiastic implanters, as well as useless, complicated, technically demanding devices with unclear indications by the skeptical majority in the surgical community. Understanding stentless valves requires a deep knowledge of the aortic root anatomy and dynamics which is far more complex than the simple open/close leaflets mechanism. In fact, each of the following structures has a special role in aortic valve functionality and any variation may influence the aortic root dynamics: the left ventricle outflow tract, the annulus, the leaflets, the commissures, the Valsalva sinuses, and the sinotubular junction. Engineering and biotechnology have been aimed at critical analysis of the main features of the human aortic valve in an effort to incorporate these qualities into the design of valve prostheses. In stented valves the aortic root dynamics are not preserved, so performance and potential durability are more related to structural design. The major potential advantage of stentless valves is to achieve the ideal hemodynamic performance of the normal human valve showing significant superiority in peak and mean gradients, as well as cardiac output, compared to stented valves and very similar to homografts, but the prognostic value of these data is still to be proved. Durability remains a primary concern for any bioprosthesis, which is even more relevant in the stentless world where technical implantation issues and complexity at reoperation should be considered. The design of stentless valves as well as their mechanical wear and stress absorption properties should determine (and for many reasons in most cases had not) better leaflets preservation and enhanced durability. 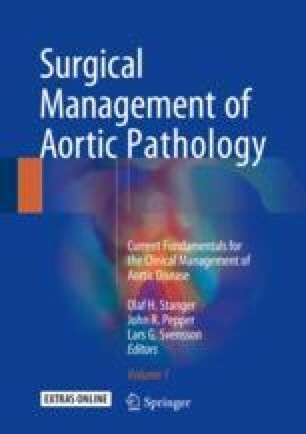 Furthermore, and perhaps even more important, stentless valve implantation techniques are generally more demanding, less reproducible and standardized, and dramatically dependent on the surgeon’s skill and experience. Well aware of the advantages of being placed upon the shoulders of our predecessors in the stentless world, in 2004 we tried to rethink the stentless concept in the context of aortic root physiological aspects playing a paramount role in dynamics and potential durability. The ideal stentless valve should be “truly” stentless and flexible without any fabric or synthetic material as cloth or reinforcement limiting pliability and contributing to an unforeseeable variable in the degenerative process toward rigidity and calcification. Moreover both annulus and STJ should not be fixed by rigid material, preserving physiologic root dynamics and providing only new leaflets to replace the pathological ones. Then valve insertion into the aortic root should be easy, fast, and reproducible. These concepts constituted the theoretical basis for the development of the Freedom SOLO stentless valve (Livanova): three bovine pericardial leaflets implanted in a supra-annular position with a single suture line. Minimal invasiveness and easy and fast implantability have been a successful strategy when high-risk aged patients are concerned, while valve durability, SVD rates, and long-term complications established by the test of time will play the determining role to expand indications in a younger and healthier population. In the meantime, attentive and careful trials of all possible alternatives toward a “native-like” aortic valve with very long-term (more than 20 years) durability should be continued and evaluated to implement data to guide future indications.